The hospital has added a new system to their website that allows patients to check the number of people waiting, the number of people being treated and the amount of time it will take to see a doctor in the emergency department. Wait times at Windsor Regional Hospital may not be getting any shorter but patients now have the ability to track them with 'more accurate' information than a similar system used in the past. 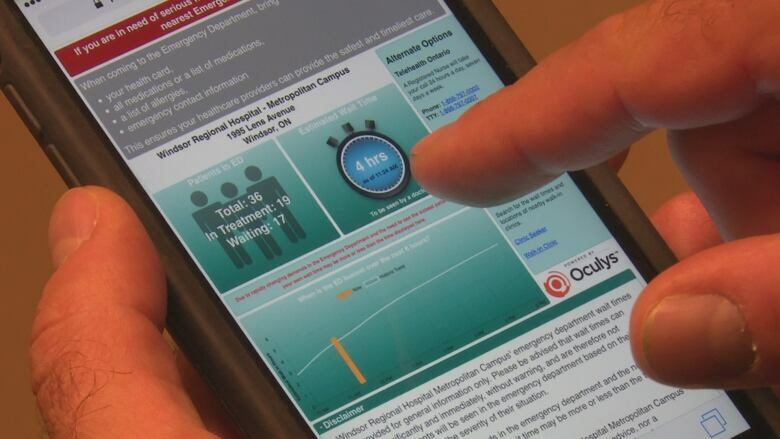 The hospital has added a new system to its website that allows patients to check the number of people waiting, the number of people being treated, and the amount of time it'll take to see an emergency department doctor. "Speaking with the nurses and the physicians, that is probably one of the top questions asked, especially in the waiting room is 'how long am I going to wait?'" 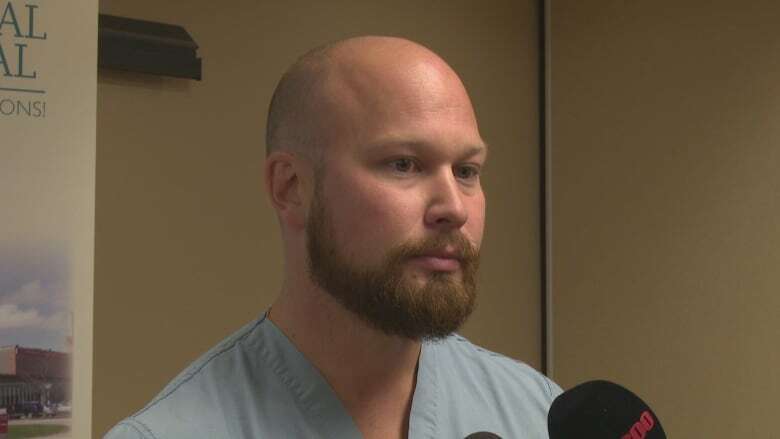 said Jeff Theriault, program manager at Winsdor Regional Hospital's Ouellette campus E-R.
"Now coming into the department with that information — as well as having it available to them while they are in the — waiting room will hopefully help alleviate some of that stress." The technology powered by Oculys Health Informatics uses a combination of historic and real-time data that is said to be 90 per cent accurate. The data is updated every 10 minutes. "As employees of the hospital we have access to this data 24/7. The question we kept asking ourselves was, 'how can we share this data with our patients?'" said President and CEO David Musyj. Hospital officials referred a similar, previously used system as "homemade" — but it was often inaccurate and not as detailed. The wait time tracker is located on the main page of Windsor Regional Hospital's website.